I celebrated my birthday over the weekend in both Adelaide and Melbourne. I was in Adelaide for a conference that my office was running from the 7-9 February. Every year, this conference is the most labour intensive work for 3 days straight. But at the end of every conference, there is a BIG party, and this year we held a Gala Dinner at the National Wine Centre in Adelaide. It just so happens to be Chinese New Year Eve on the night of the 9th February, so my collegue gets on stage while I’m up there for a presentation and makes an announcement about Chinese New Year, and in the same breath mentions that it’s my birthday the next day and has the DJ que the song. I had a venue of over 150 people sing Happy Birthday to me while my colleagues presented me with a birthday present on stage! It was the best suprise I’ve ever had on my birthday! 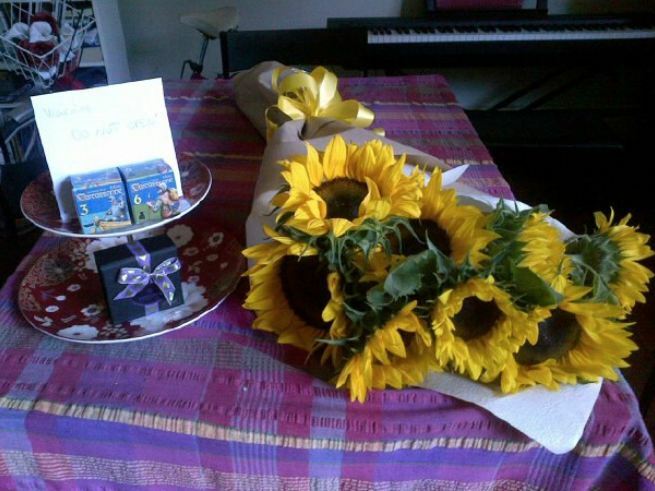 On the next day, which was my actual birthday, I flew home to Melbourne, and my most wonderful boyfriend picked me up from the airport and brought me home to a huge bouquet of giant sunflowers, special Haig’s chocolates and new Carcasonne game tiles (our favourite board game). We then went to our favourite Gluten Free Cafe – Black Ruby – in Calrton North and had a delicious stack of French Toast for lunch! I was exhausted after working so hard at conference the last week, so I spent the afternoon taking a nap beside my love. Perfect way to end the weekend of birthday celebrations! There was a photo booth at the Gala Dinner and my colleagues all snapped some fun photos! Good times! 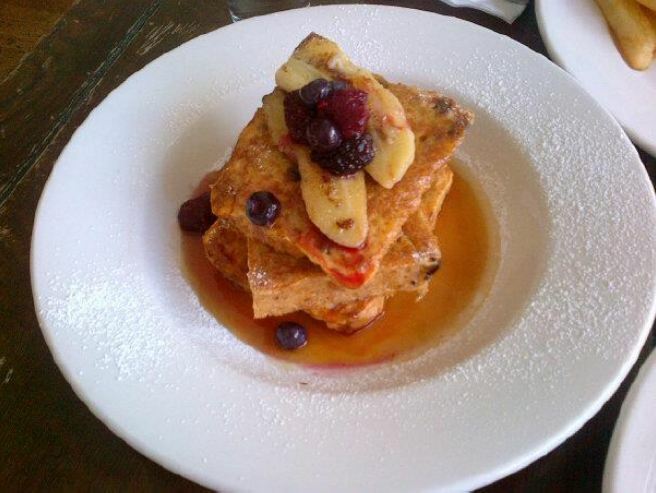 Delicious stack of Gluten Free French Toast, with banana, berries and maple syrup. MMMM! Giant bouquet of sunflowers from my love! Re-reading old posts and enjoying them even more the second time! Happy Birthday Susanna! I’m so jealous you got to have such a wonderful time at the APC, wish I could have made it this year! Thanks for the birthday wishes! APC was great! There’s always next year! ← Made With Love. Wrapped With Love. Given With Love.